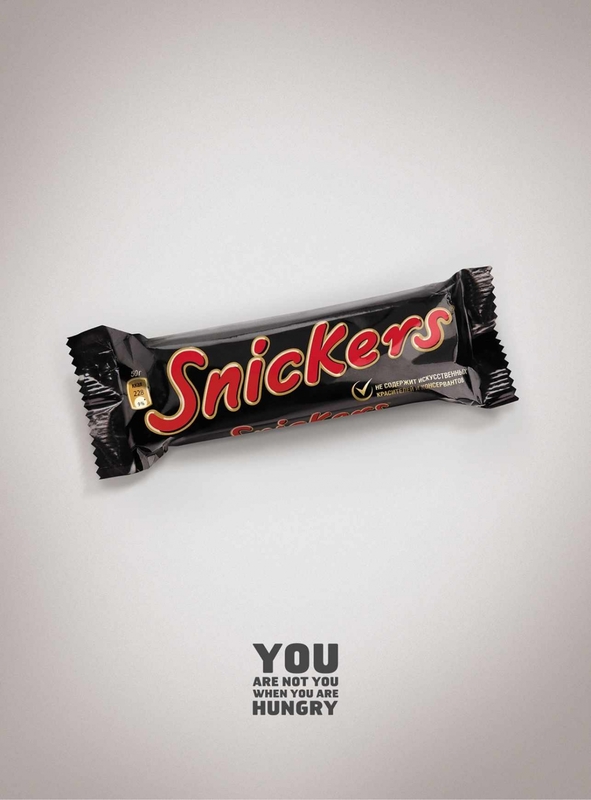 BBDO Moscow takes the “You’re Not You When You’re Hungry” campaign for Snickers into meta territory with these three print ads, in which the Snickers bar isn’t itself—it’s packaging to look like Mars, Bounty and Twix bars. 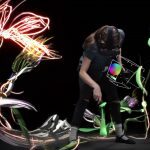 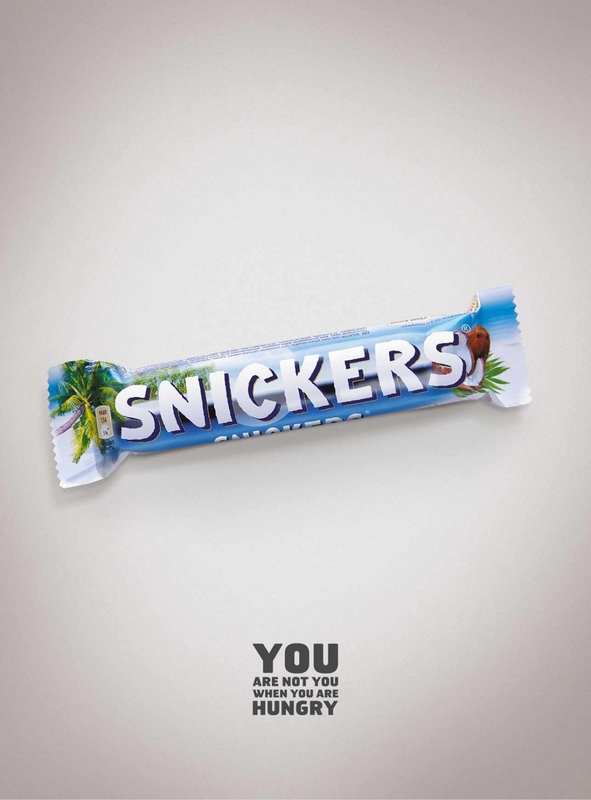 The concept is a little off, seemingly implying that Snickers itself is hungry for a Snickers—though it’s not too far removed from the brand’s recent real-world packaging stunt, in which hunger symptoms replace the brand name on the wrapper. 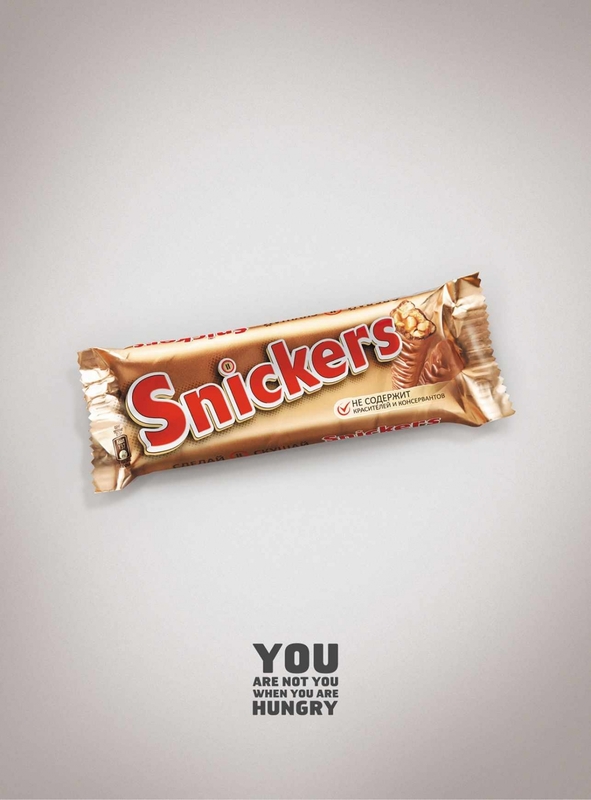 Mars, Bounty and Twix were probably fine with this. They’re all Mars Inc. brands, after all.